My name is Brittany and I am a young wife and mother. I love anything having to do with home and family living including crafts, interior design, sewing, painting, art, cooking, baking, spending time with family, and playing with my little boys. I always seem to have a project going - it's what keeps me happy in life. 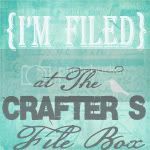 This blog is a way for me to keep all my inspiration and ideas from cluttering my house. I hope you enjoy it as much as I do. Click above for a list of services and examples of what I can help YOU do! Please click below to explore and view captions about each space. 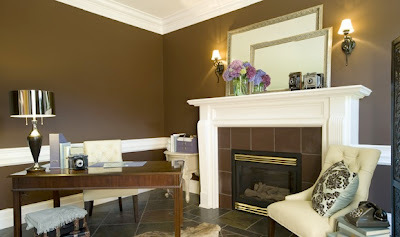 1 - Here is a room with a really rich chocolate wall color. This can only be pulled of to look great if your room has a lot of windows and natural light spilling into the place, as this one does. Even if the room is small, having the natural light will help you pull off having any dark color on the walls. It also helps to pair it with some light bedding and window treatments. 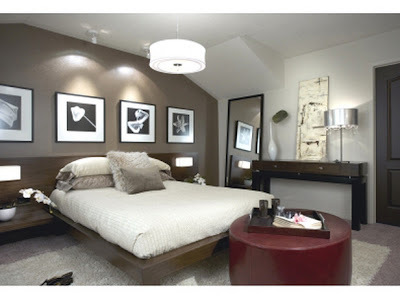 3 - Here is another room with a really rich chocolate color on the walls. You can see how having less windows that #1 is changing the way the dark walls look in here, but I still think it works. I especially like the cream bedding in this room. 4 - I always like the ide of painting wood paneling instead of tearing it down. I think it gives a nice texture to the walls. And this is kind of a fun twist, because I'd usually paint it a light beachy color, but these walls are painted brown. I like it. And this brown has almost a green undertone which is fun. It gives the room a country feel. And the cute bedding and curtains add to that. This room has quite a few windows letting in a lot of light which works really nice. And having the paneling, even though it's dark, is still giving this room a slight beachy feel which softens it a little. 5 - I threw this one in because I like the combination of brown with lavender. I haven't seen it done very often, but it's really pretty. 6 - This is probably my favorite brown room in this list. I love that chandelier! 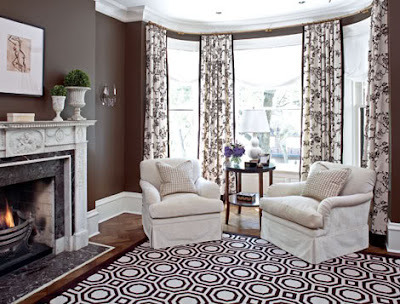 I also love how the dark color of the walls shows off the stunning molding in this room. I think if I were to paint my walls dark, I'd want molding like this. It would be pretty easy to add if the room didn't already have it. I like the combo of the brown with the white and ivory in here. It's very pretty and stunning. 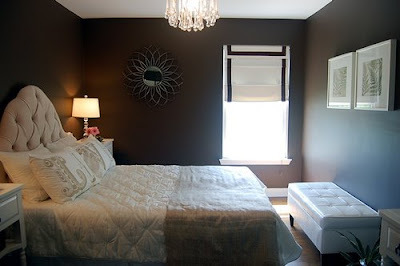 7 - Another idea is to have brown bedding with a tan color on the walls. This would make a lot more sense in a smaller room, or one with less windows, while still incorporating brown. 8 - And here is one with more of a brown undertone. The furniture is stained in an espresso color which brings the brown in, but that's about it. The tan on the walls carries brown as well, but it makes the room a little lighter than the previous ones, which may be considered a little heavy to some. 9 - I threw this room in because I like the green paired with the browns and tans. The earth tones are having a party in here, so you still have that brown undertone. 10 - This space shows using brown on just an accent wall. This is a little bit lighter brown, but still gives the feeling of brown in this room. There is almost a lavender undertone in this room seen in the bedding and that wall. 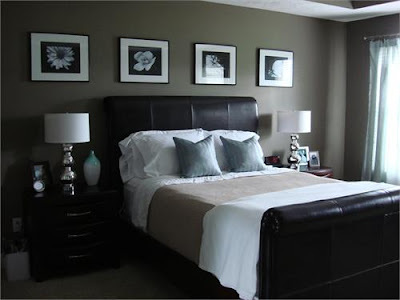 11 - Here is another example of a brown accent wall. These work well in smaller rooms to pack a punch, but not devour the space all together. It's kind of fun how the color flows around the corner and down into that hallway. 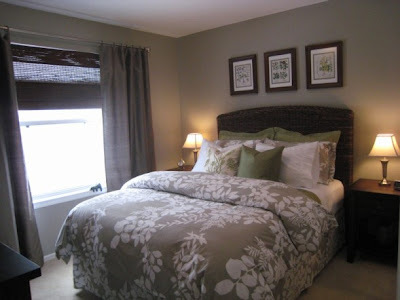 I also really like the two tones of brown used on both the wall and the bedding it adds another dimension. 12 - Another idea for using brown, but not an entire wall of it, is to put up white wainscoting on the wall and then painting everything above that brown. This really opens up a room, but still allows the use of that dark color. I really like the color of brown in this room and how it matches the tiles on the fireplace. And check out that old phone...and those old camras...and those chairs...and that pillow...and the two mirrors. Wow, just a REALLY well done room! 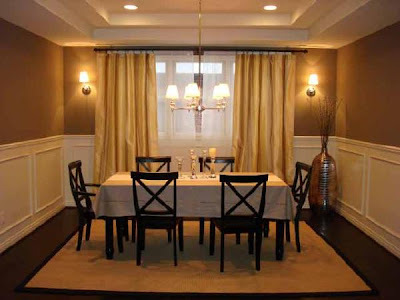 13 - Here is another example of wainscoting but with a lighter brown on the walls. It still looks really good. And wainscoting is really easy to put up, especially if your walls aren't textured. You just nail molding to the wall and paint the wall to match the bits of molding - it looks like one piece. 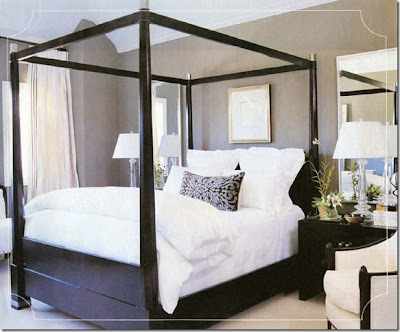 14 - This room has a very neutral color on the walls, one you might find it most homes. And if you don't want to paint, but still want the brown look, here you go. I love those brown tiles on the wall above the bed. And that bedding could even be darker in this space, but I really like it still. 15 - I've used this picture before, but I think it's also a really good example of how to acheive brown, without using paint on the walls. I love the brown in the bedding and the chairs and I really love it paired with that gold and a touch of blue. It's pretty French, but these great colors would look good in any style. 16 - And here's a "brown" room with a totally different wall color - green! I like brown and green together too. Earths tones are so pretty! those are all great rooms. i also like the idea of painting the room a pretty blue - not a dark blue but a lighter blue then accenting with brown. i guess i just really like brown and light blue together! Oh I am already loving your inspiration! So many great ideas for us to achieve the brown "look" in our room... in so many different ways! I just got home from Oregon today, so I'll send you pictures as soon as I get a chance. 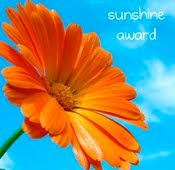 You're amazing! Thank you so much! 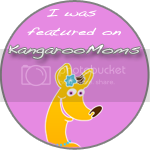 i just found your website, and i love it! you totally read my mind in me looking for ideas with brown in a room! i have a green and brown living room, which i love, and i was wanting to bring that feel into my bedroom! but not by having a copy-cat room. you gave me some really great ideas, and i appreciate that! i am a painter myself, and a mother to a 2 year old boy who loves to paint as well. displaying his artwork is my best accomplishment. i have a trash to treasure home where i brought all kinds of "junk" back to life, its beautiful. its my playground! keep up the good work and im bookmarking this site, now! Leaky Gut Syndrome: Why Is It So Confusing? I Got a Crush on You! Whats in Your Spice Rack?